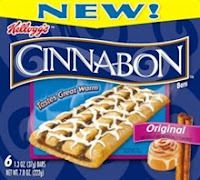 I remember when I tasted my first Cinnabon cinnamon bun well over a decade ago. It was sinfully delicious, especially when it was still warm. So how could I possibly turn down a chance to try the new Kellogg's Cinnabon Snack Bars? As usual, my children were more than willing to help me review these snack bars. These Original Cinnabon Bars, which are cinnamon-filled and topped with icing, come six to a box. 1) My first thought when I initially saw them was that they were pretty small. 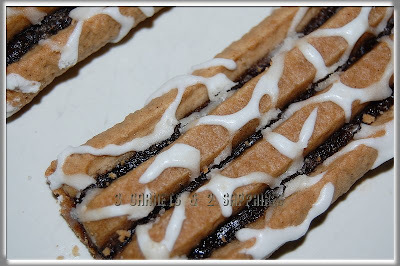 Then I tasted them and realized these snack bars, like the original Cinnabons, were quite sweet and a little would go a long way. 2) They did taste good warm. I heated mine for a little longer than the recommended 3 seconds in the microwave because I like my icing a little melted. 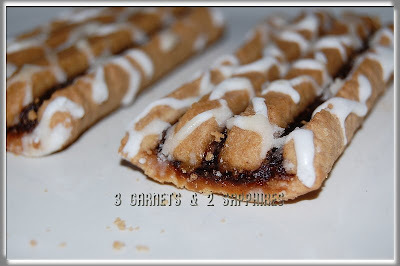 3) I think these would make a tasty dessert served warm with a little vanilla ice cream on top. 4) All 3 of my children loved these bars and they (in the words of my husband) "inhaled them." 5) My 5yr old son said that his favorite part was the icing. Since these snack bars are so sweet, I think we would buy them as treats more than a regular snack. I will definitely try cutting each bar in half, warming them, and then serving them with a scoop of ice cream on top. That would be an easy, but tasty dessert that would likely be a crowd-pleaser. If you'd like to give these a try, you should be able to find Kellogg's Cinnabon Snack Bars in most places where Kellogg's products are sold. Thank you to Kellogg's for providing us with a review product free of charge and thank you to Mom Central for inviting us to be part of the Kellogg's Cinnabon Blog Tour.